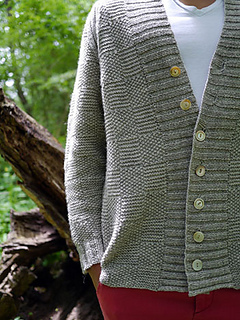 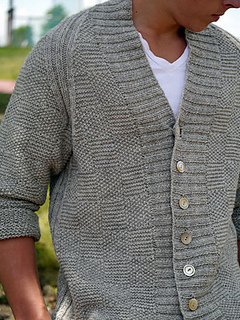 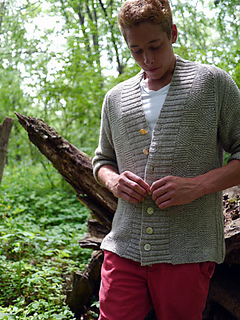 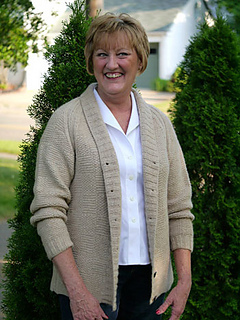 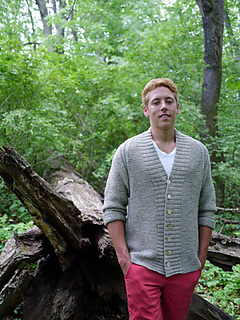 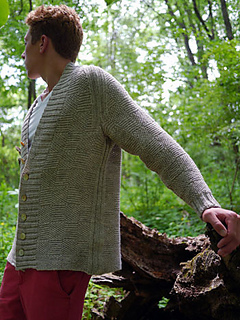 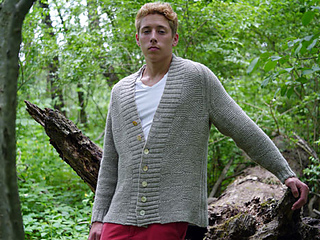 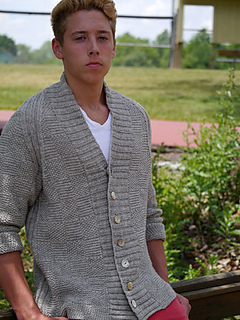 This classic unisex cardigan in nine sizes (XS/S/M/L/1X/2X/3X/4X/5X) has a relaxed fit and a sleek look when knit in a soft yarn blend. 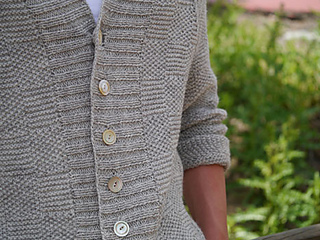 Seams accented with ribbed detail draw the eye upward, while dramatically deep button bands create a focal point at center front to continue a flattering line. 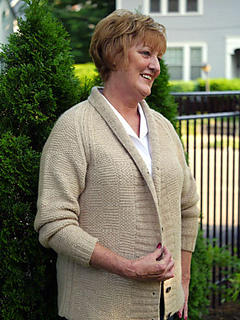 The collar can be worn standing up or folded down. 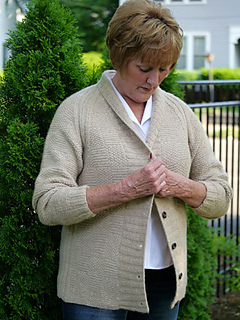 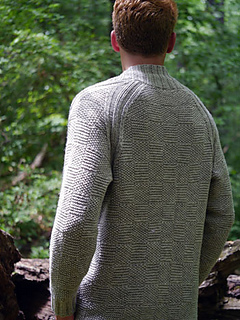 Its five simple pieces are knit flat, bottom-up and seamed, making this garment a very portable, quick knitting project. 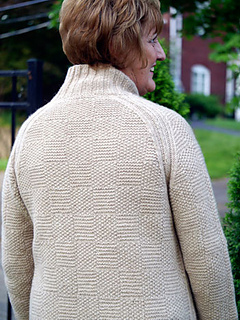 Substituting yarn and/or needles may result in an overall variation in size, drape, and fit.